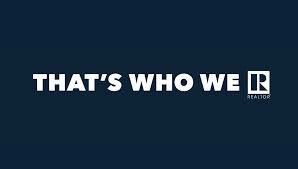 National Association of Realtors® unveils “That’s Who We R®,” a campaign to distinguish Realtors® from other real estate agents. Content seeks to educate consumers on the value of a Realtor®, who abides by a Code of Ethics, practices advocacy and is backed by the nation’s largest trade association. It’s the Code of Ethics that helped to inspire our new campaign, “That’s Who We R®”. The campaign will demonstrate the value of a REALTOR®, distinguish REALTORS® from the rest, and deliver a sense of pride in being a REALTOR®. Source: "That's Who We R®"